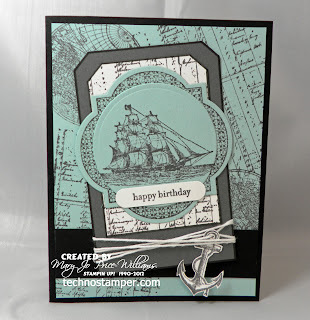 You know what Tuesday means--my chance to share the Try Stamping On Tuesdsay challenge with you! I really enjoy being a part of the Design Team on this group so much talent. Be sure to check out what the rest of the team came up with for this sketch--then why not play along yourself--we would love to have you. I have not used this set i quite a bit--it is such an easy set to make masculine cards. And I just adore Pool Party with Gray and Black. Can you tell I used the single stamp Just Thinking behind the boat. 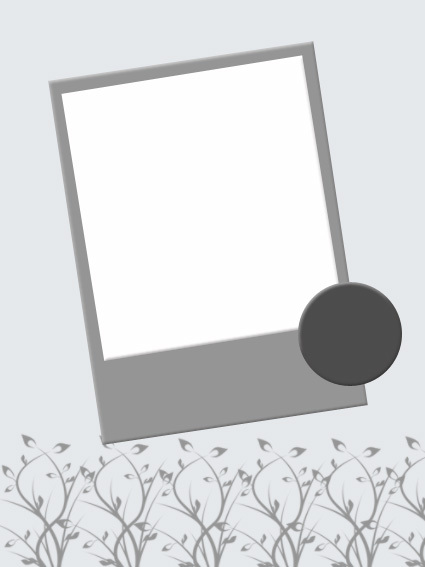 Works great to add more texture and it fits perfect in the framelits so it cuts out perfectly! Hope you have a wonderful day--I need to try to take my CRAZY cat to the vet--it is not an easy task, she is crazy and mean when taken out of the house--she does not like the vet--and honestly I am not too sure they like her either, lol--but I love her. Love this. Great job on creating your own DSP for the background. I really must get this stamp set out and play with it again. Hugs. Love the colours on this card. Still very masculine and somehow it all blends so well to create a great collage effect. TFS. Wonderful Mary Jo....my husband was in the Navy and your design and colors are lovely - I may have to CAS your card...thank you for inspiring me to bring this set out again!! !